One thing you can never say about life is that it is boring. The same goes for Gaming Club’s premium casino games. Welcome to the only destination for action, excitement, and luxurious entertainment you will ever need. Our massive collection of titles powered by Microgaming is supported by a range of services, as well as by a thriving player loyalty programme. Thanks to our mobile casino, there is no need to wait until you are in front of your computer to immerse yourself in the thrills. Instead, use your Android, iOS, or other smartphone or tablet to enjoy it all when you are on the move! When you come to think of it, casino games mirror life itself. Sometimes you win, sometimes another player wins, and sometimes the house wins. Either way, the journey to the results is usually an exciting one. Some games, such as Gaming Club’s fantastic online slots, Baccarat, and Roulette games, put you entirely at the mercy of Lady Luck. Others, such as online Blackjack or Poker offer room for strategic play that could improve your chances of success. Whatever your choice, you get adrenalin-pumping action all the way. No software provider does a better job of giving casino games the treatment they deserve than Microgaming. Gaming Club has been powered by the software provider since the beginning, and when we say the beginning, we mean it. Our is arguably the world’s oldest online casino, and the provider’s awe-inspiring releases are one of the biggest reasons players keep coming back for more. Fair play is absolutely vital, and it is something of which you are assured at Gaming Club. All Microgaming’s game results are produced by an independently certified Random Number Generator. Requiring neither special bets nor strategic moves, the casino games invented by Charles Fey in San Francisco a century ago are among the easiest to play. 3-reel games are the simplest of all. Few, if any, bonus features and a single paylines keep it sweet and short. 5-reel games use multiple paylines and more bonus features to take the excitement a step further. 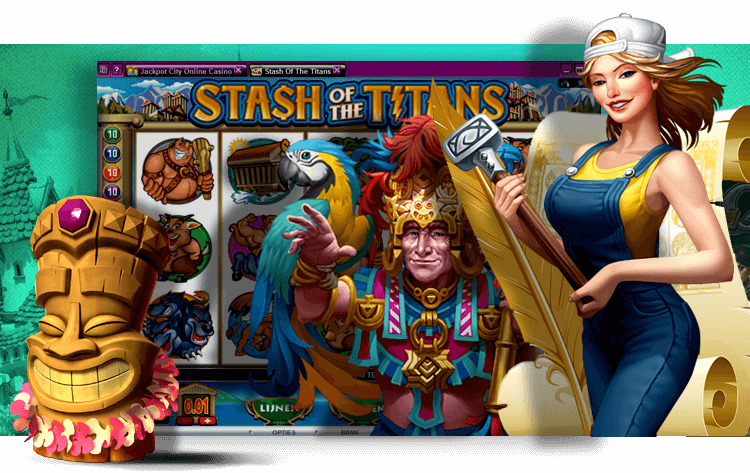 Video online slots are the most popular of all, no doubt due to gameplay intensified by Wilds, Scatters, bonus games, and other special features. The titles with progressive jackpots are also firm favourites among Gaming Club players, not least because they offer some of the biggest real-money payouts available. The enjoyable gameplay of online Blackjack has won it a place in many a player’s heart. We suspect the game putting you on an even footing with the house also has something to do with this most popular of all card games. Also known as 21, it is played most widely in its European and American forms, but there are also Spanish and other variations available. In fact, Gaming Club has the best collection of Blackjack casino games you will find online. See if you can beat the dealer to win. Online Roulette, the devilishly good King of Casino Games, is one you can always bet on to bring you heart-racing suspense and mind-boggling winning chances with a touch of class. Gaming Club offers you not only the classic European, French, and American forms, but also inspiring newer editions with features such as progressive jackpots. Immerse yourself in new worlds of quality entertainment at Gaming Club. Our collection of hundreds of games also includes Baccarat, Craps, Keno, Poker, scratch cards, Sic Bo, Video Poker, and many more. Play to win with us!